The optical acrylic Vello LCD Screen Protector for Canon EOS 60D is designed to protect your camera's screen from scratches, dings, sweat, oily fingerprints, and life's daily grind. Made of 1mm thick polycarbonate this protector guards your valuable camera's screen from dirt, scratches and oily fingerprints. Plus, it blocks UV rays while allowing 92% visible light transmission for clear and bright images. The protector is easily mounted to your camera's LCD screen with an adhesive backing. Once it is properly aligned, the screen should be smoothed down with a clean cloth. 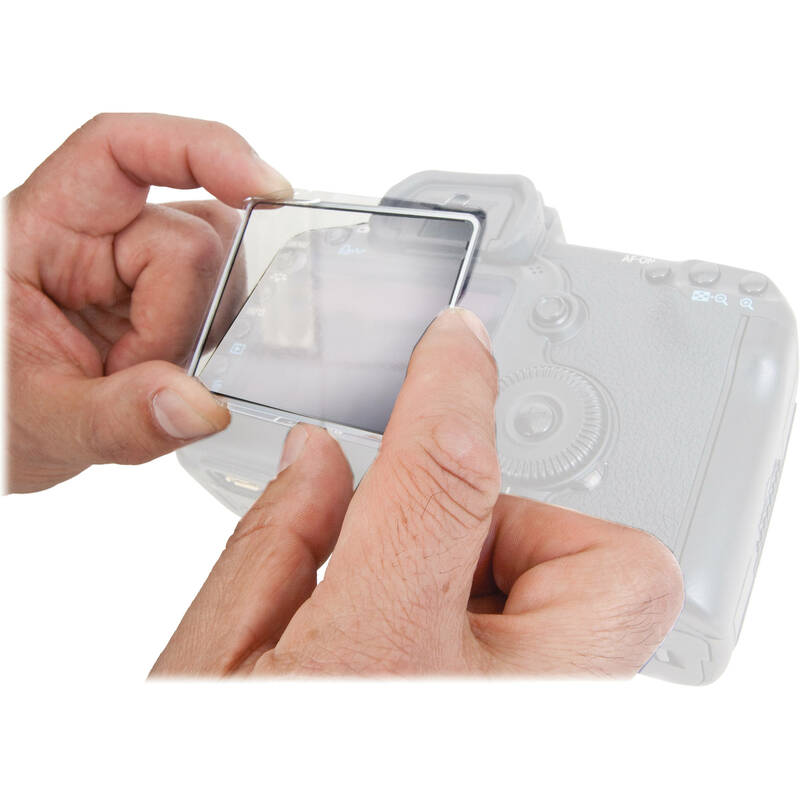 Box Dimensions (LxWxH) 6.6 x 4.5 x 0.5"
LCD Screen Protector (Optical Acrylic) for Canon EOS 60D is rated 4.1 out of 5 by 7. Rated 5 out of 5 by JDP523 from Did what it was should, saved my screen I put this screen protector on my 60D 4 years ago when I bought it new as a back up camera. This year while traveling my camera bag fell out of my SUV when I opened the back door. I didn't think much of it until I got home and began unloading the bag. When I looked at the camera I thought screen on my 60D was shattered when the bag fell. Then I remembered I had put the screen protector on. Sure enough, I peeled the protector off and screen was like new. Definitely recommend this item. Yes the screen on the 60D will not latch when the protector is on, but it will close. Its better than the alternative of buying a new screen. Rated 5 out of 5 by Kennet from It protect my LCD-screen It protects my screen very good. The only problem i have is that i can not close the screen on my Canon 60D when i am using it. I have to close the screen when the glass is pointing out, it make it easier to destroy the screen again. Rated 3 out of 5 by Nightlatch from Really not happy It does serve the purpose of protecting the screen. However, when installed, the screen door on camera will not fully close.